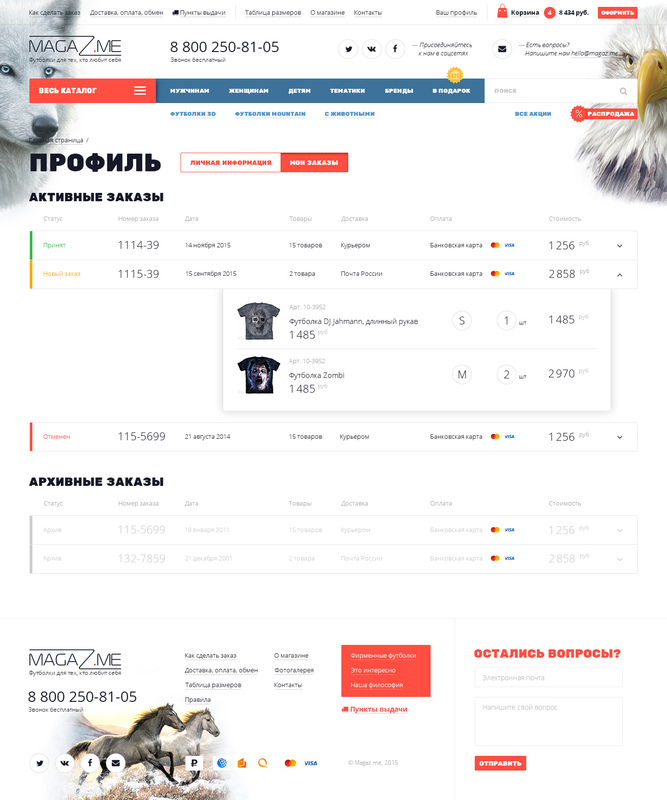 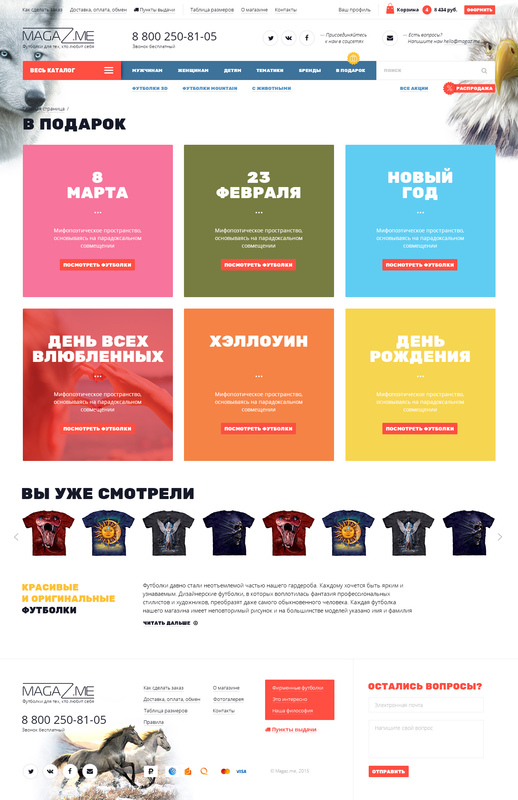 Design of an online store of T-shirts with prints from the USA. 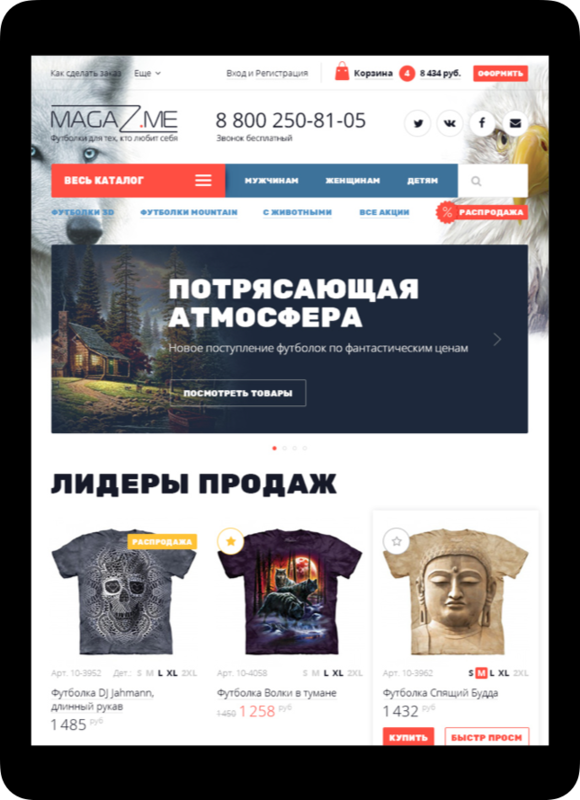 A distinctive feature of the store is that the entire design of the project from the first meeting with the client to the transfer of the final layouts was made in less than three weeks. 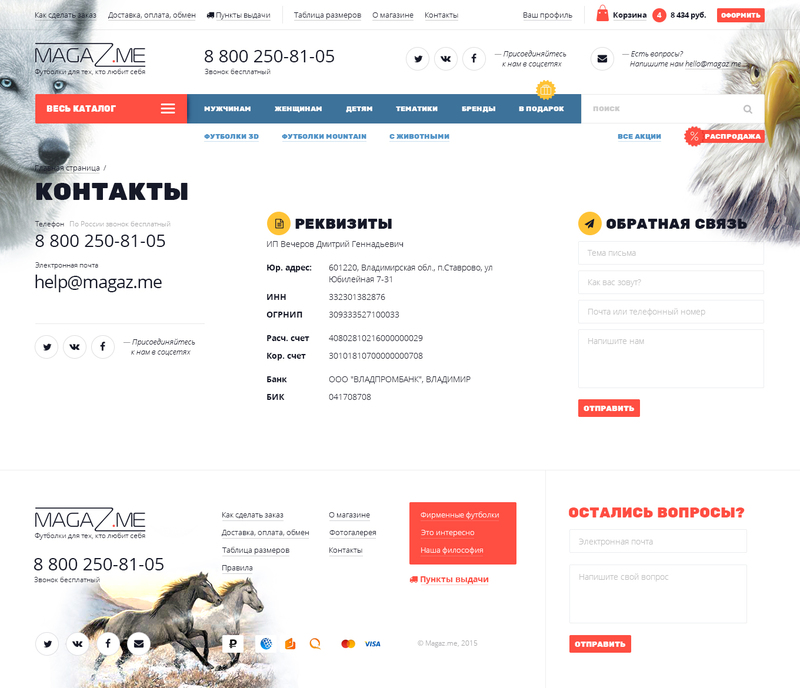 The site is maintained and filled with the client.